We're family owned and operated. 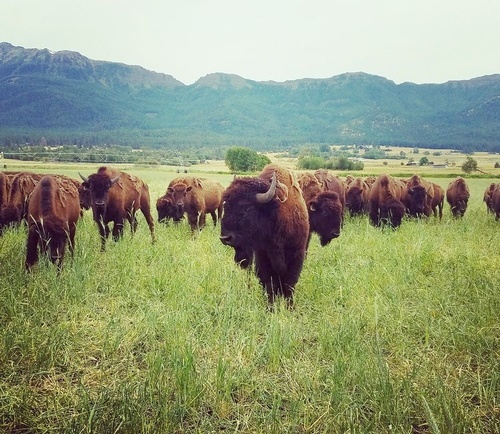 All of our custom order animals are born, raised, and harvested on our ranch in the beautiful Wallowa Valley. 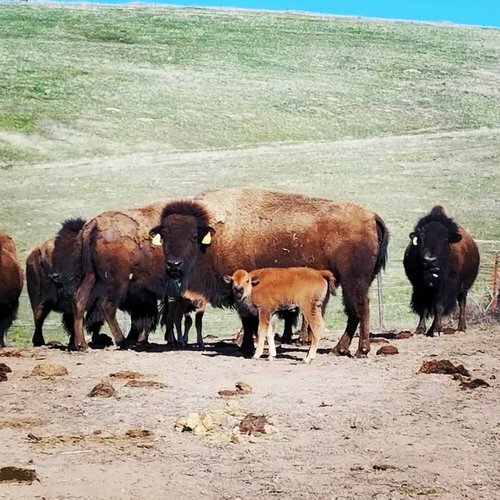 Through out their lives, the bison enjoy time between our pastures that are located on ''the slope'' and in ''the hills''(see pictures below). When animals have reached the age for the highest quality product, the harvesting process begins. For our locally sold products and custom orders, a local professional mobile slaughter service comes to our ranch where the animals are quickly and humanely killed and cleaned. Once that process is complete they are transported approximately 17 miles to Valley Meat Services, a local custom-exempt plant. 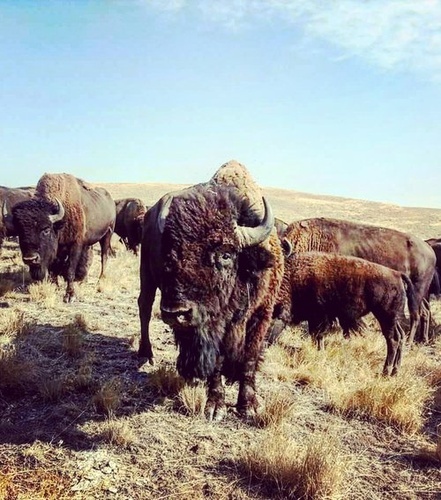 We take pride in the fact that our custom animals complete their life cycle on the ranch and are then processed locally by people that we have known and done business with for years. It is truly amazing that in such a small area we have the opportunity to work with people that are so talented in their field and help us deliver the highest quality of product possible to our customers. We sell our animals ''on hoof'' or as live animals. This means that the customer buys their animal, or their portion of the animal (quarter or half) live, and the pricing of the animal is determined upon the hanging weight. Skulls & hides subject to availability. Bison products locally available at The Dollar Stretcher Grocery Store.